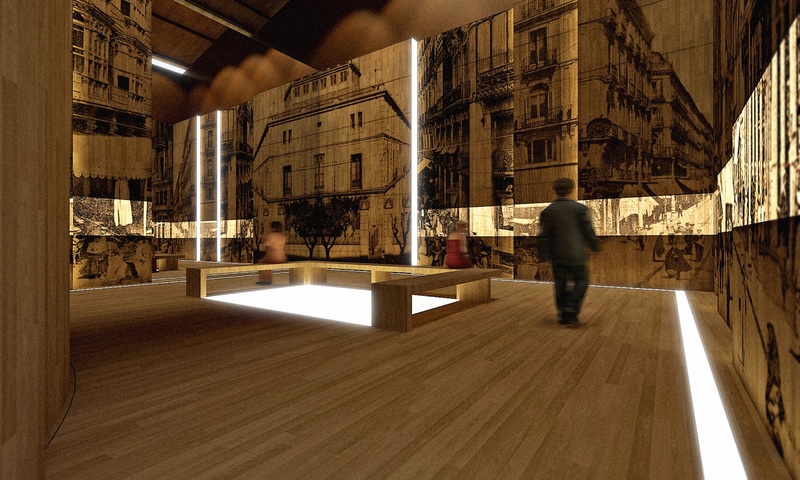 Design of the exhibition space, the graphic elements and the proposed audiovisual installation for the tour of the Carlos Serres winery. 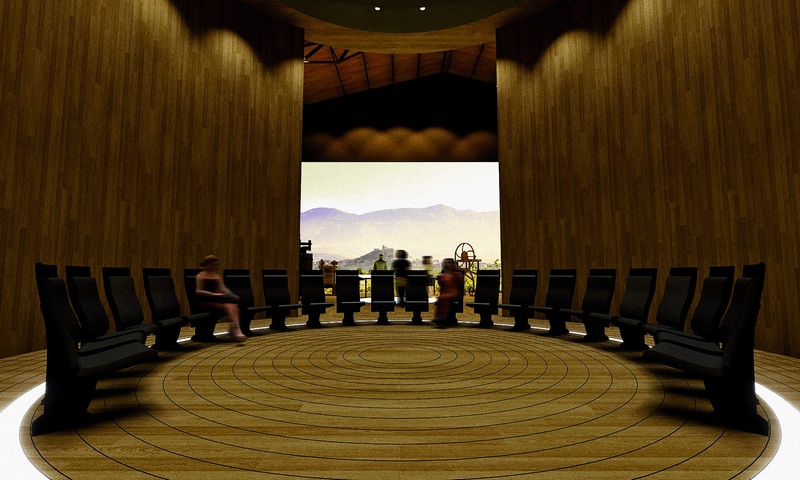 The corporate space of the Carlos Serres winery seeks to explain issues related to wine, tell the story of Carlos Serres and the birth of the company, and host tours of the winery, as well as promote the brand and explain what it contributes to the wine production market. To accomplish this, two different routes were set up, a quicker one which provides a brief summary of the history, and a longer one in which the viewer is immersed in the story of the American vineyards of the Carlos Serres winery and a tour of all the modern wine-making technology, with a visit to the machines, the storage spaces, etc. 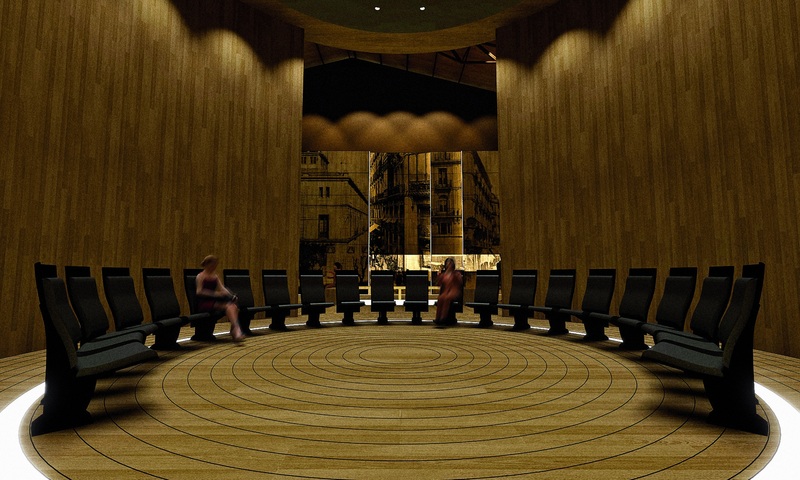 The most important room in the entire tour is a rectangular space with a circular installation in the centre that divides it into three parts. The first part tells the story of Carlos Serres. 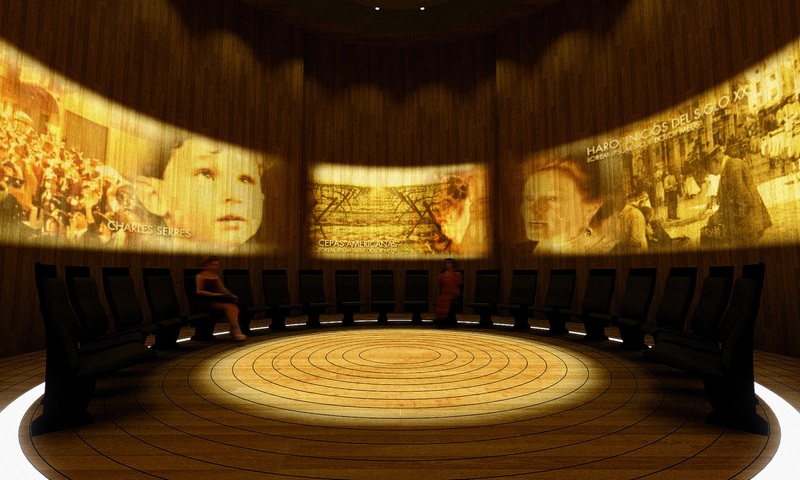 Then visitors enter the cylinder and can sit down to watch a projection designed specifically for this space with 360º technology, through which they are fully immersed in the history of the winery. As the projection proceeds, this cylinder revolves without the viewers being aware it, so when it is over the lights go off and the same entrance doorway opens to a totally different space, a sweeping landscape of the vineyards of La Rioja. After this introductory experience, the visitors can enter the industrial areas to watch the wine-making processes.